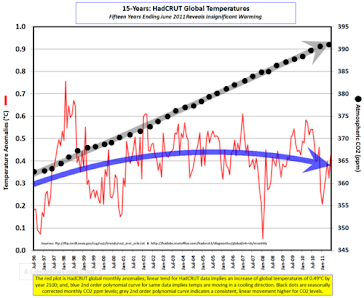 Climate Common Sense: Climategate - Whitewash is Peeling! From Capitol Hill come excerpted notes from the interview transcript between the NOAA Inspector General and Eugene Wahl. I am advised that it’s not a continuous chain, with some back and forth between the paragraphs excluded. I am advised that the excluded sections, often lengthy, do not place the excerpts in any different light than reading them as presented below. Neither the Muir Russell nor Oxburgh “inquiries” took transcripts despite requests from the UK Parliamentary COmmittee to do so. Q. Did you ever receive a request by either Michael Mann or any others to delete any emails? A. I did receive that email. That’s the last one on your list here. I did receive that. Q. So, how did you actually come about receiving that? Did you actually just — he just forward the — Michael Mann — and it was Michael Mann I guess? Q. — That you received the email from? A. To my knowledge, I just received a forward from him. Q. And what were the actions that you took? A. Well, to the best of my recollection, I did delete the emails. Q. So, did you find the request unusual, that they were — that the request — that you were being requested to delete such emails? A. Well, I had never received one like it. In that sense, it was unusual. A. Yeah. I had no knowledge of anything like that. But that’s what they were — where they were coming from. And so, you’d have to ask Keith Briffa that. I don’t know what was in his mind. WUWT also has more on the story here. My guess is that the relevant Republican Congress Committee will be all over this in very short time! Good to see this is still evolving with more and more light being cast on the matter. 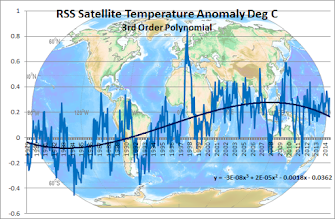 If is a long way from being over and given the magnitude of the flow-on effects resulting from the actions of Jones and Mann et al and the resultant cost to the worldwide community, it can't be left to just fade away into the sunset. There will be even more pain for the perpetrators of this massive fraud but this must be permitted to come to its proper and natural conclusion so once and for all, both the scientific community and the community at large come to understand that they are not above the law and will be held accountable for their actions. Without such safeguards in place anyone anywhere can do and say whatever they please without the need to comply with accepted standards of proof, so in effect do it with complete impunity and that takes us back to the days of the snake oil salesmen and their ilk. Let the light continue to shine.